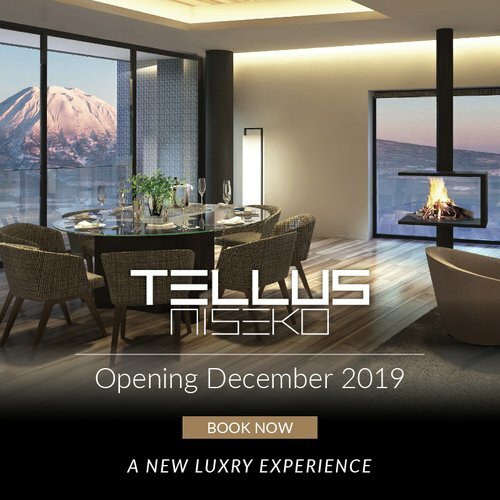 Current: Niseko Onsens: Our top picks! Niseko Onsens: Our top picks! Famous for its incredible powdery snow, Niseko is also blessed with a rich abundance of onsen hot springs. To officially qualify as an onsen, hot spring water must be naturally heated and sufficiently rich in minerals. Often reaching temperatures above 40°C, hot spring water is the best way to relax after a day of hard play on the slopes. 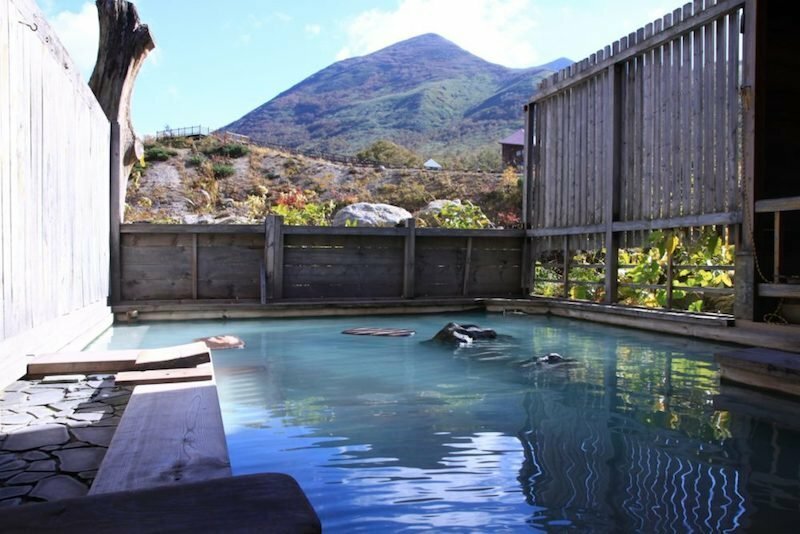 Our team has come up with a list of the top 8 onsens in Niseko. Read on to get started with your onsen journey. Yugokoro-tei (湯心亭）is famous for its geothermally-heated high temperature hot spring. The natural water source is directly used in the bathing areas and goes up to 56.4 degrees celsius. Yugokoro-tei features a very soothing natural atmosphere with an outdoor bathing area surrounded by massive rocks and a rich forest. Guests can use the rocks as a seat to cool down. Shampoo, conditioner and body soap are included in the shower area. 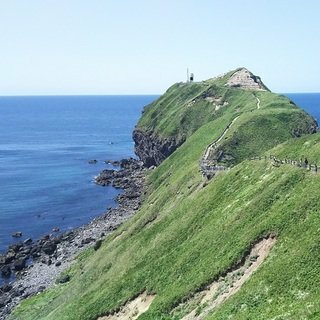 Located in Rankoshi town, Yukichichibu（雪秩父) is not easy to reach in winter. However, this onsen is definitely worth a visit and you will be sure to escape the crowds for a tranquil moment of your own. 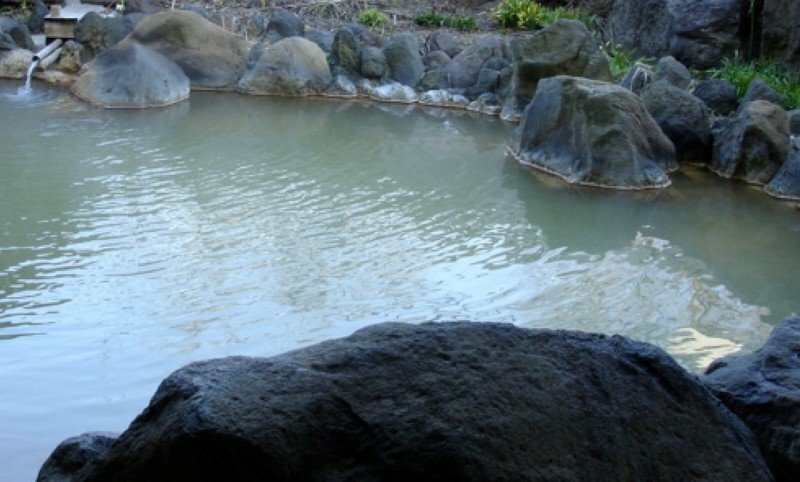 Yukichichibu has more than 10 outdoor hot spring baths and there is also a famous mud bath in the female section! Niseko Grand Hotel is one of the few onsen that offers a mixed gender experience. 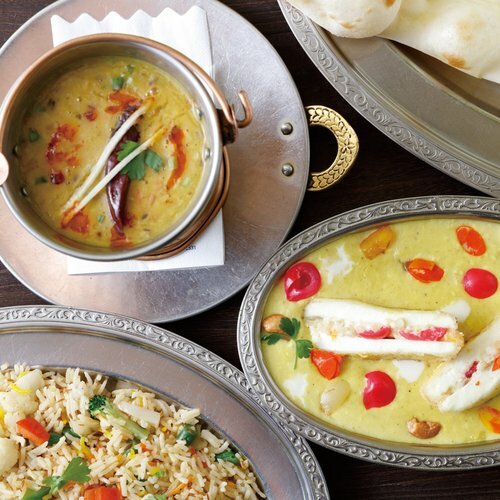 This is the ideal choice for families who wish to spend time and relax together after a long day on the slopes. 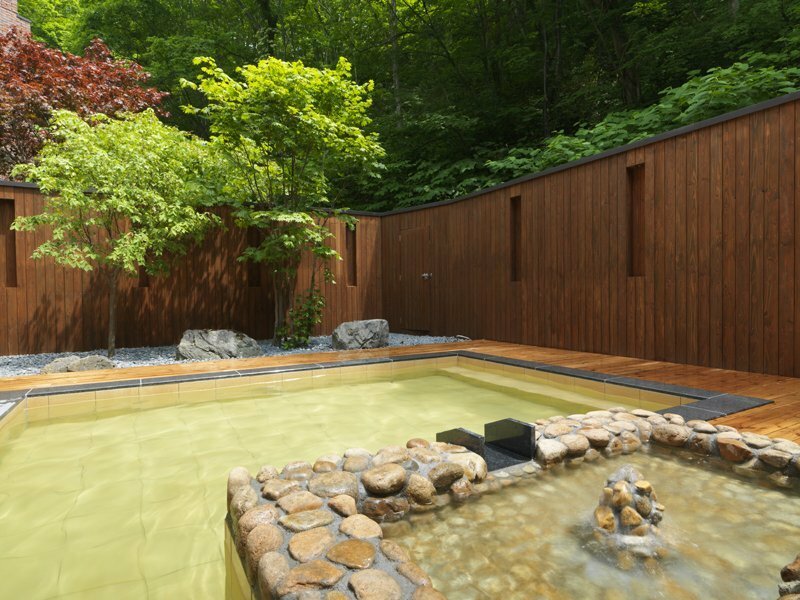 The secluded mixed onsen baths are at the end of the garden and surrounded by many trees. 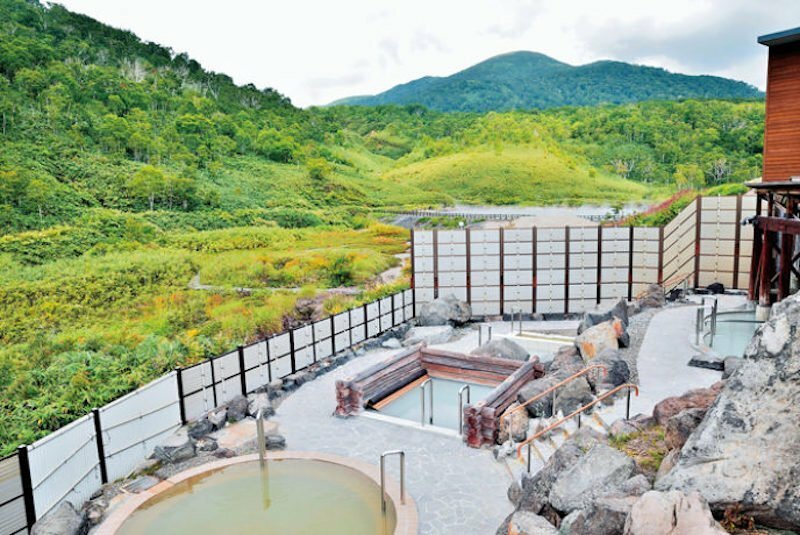 The three mixed outdoor onsen baths offer a blend of both iron-mineral and sodium-mineral spring water. Ladies need to wear a ‘’Yuami’’ before entering the mixed onsen, which is available for rental at front desk for 100 JPY. 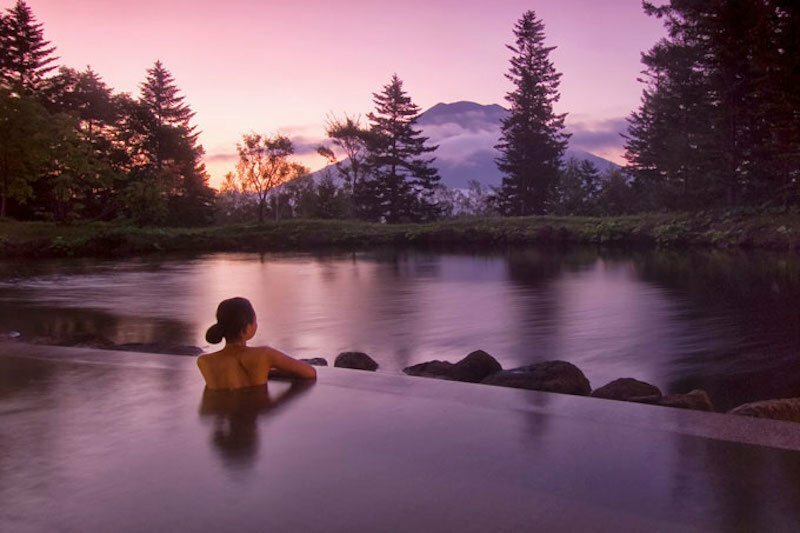 There are two outdoor and two indoor baths (in each female and male sections) at Niseko Grand Hotel, each respectively boasting iron-mineral-spring water and sodium-mineral-spring water. Located at a high elevation of 750m above sea level, Goshiki was once selected as one of the top 10 secret onsens in Japan by TV Tokyo. 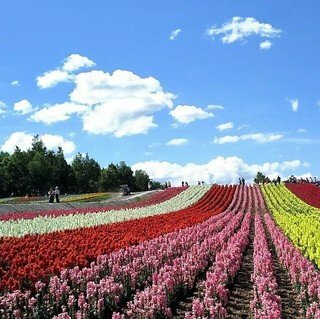 Guests can enjoy a decor of wild alpine plants at the foot of the Niseko Annupuri and Iwaonupuri mountains. A winter visit guarantees that you'll find yourself wrapped in a silvery white scenery. For summer, a green lush landscape coupled with birds singing awaits visitors. The source flows from Mt. Iwaonupuri and the natural sulfur-rich spring water is said to have healing effect on diabetes, high pressure and more. Opened in July 2013, Moku-no-sho (杢の抄) is an onsen located in a tranquil corner around Annupuri. Moku no sho has two onsens, the public Meisen no Yu and the private Wasen no Yu hot spring baths. 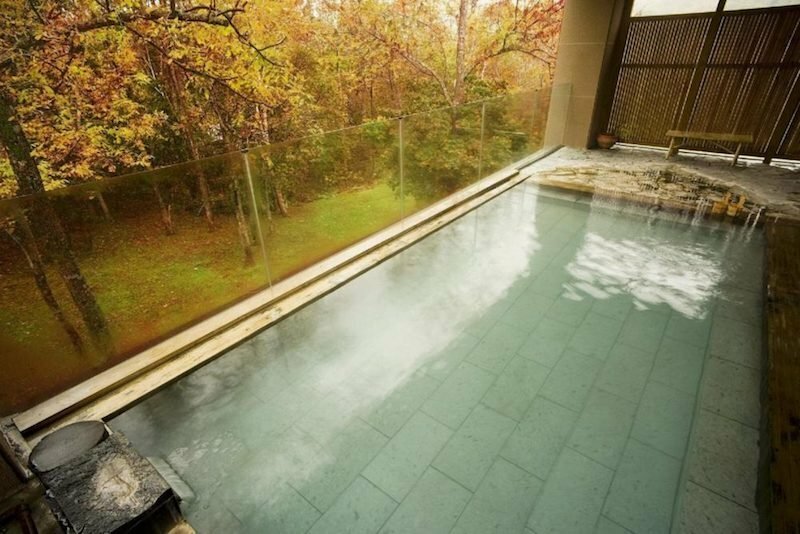 The latter is a good option for guests who need more intimacy and prefer a private family onsen. However, both onsens are closed to the public. To experience this mystical place, you need to opt for the dinner plan which includes a visit to the onsen. 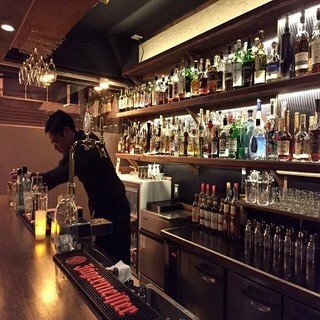 If you want to complete your Niseko trip with a genuine Japanese experience, Moku no sho is your call. This onsen offers splendid views of Mount Yotei. 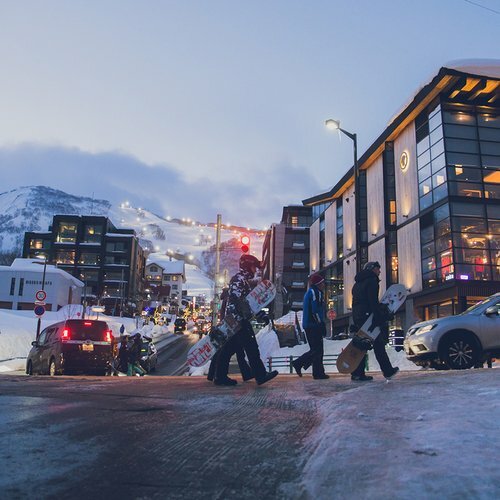 Situated at the base of Hilton Niseko Village, this is the perfect choice for those who want to relax in an onsen right after skiing. On an interesting note, there is a pond filled with colorful carps next to the outdoor bath. Kanronomori (甘露の森) means the dew of forest in Japanese. 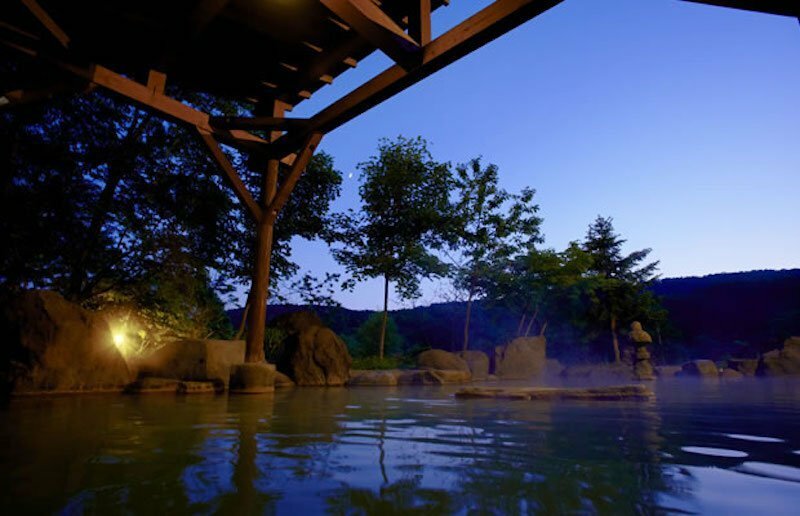 As the name suggests, the outdoor onsen bath of Kanronomori is located inside a forest where you can truly relax in a beautiful nature setting. Being slightly acidic and rich in sulfate ions, the hot spring water of Kanronomori is said to keep the skin moist. Kanronomori also has private onsen for hire, which is a great option for those who want to have more intimacy. 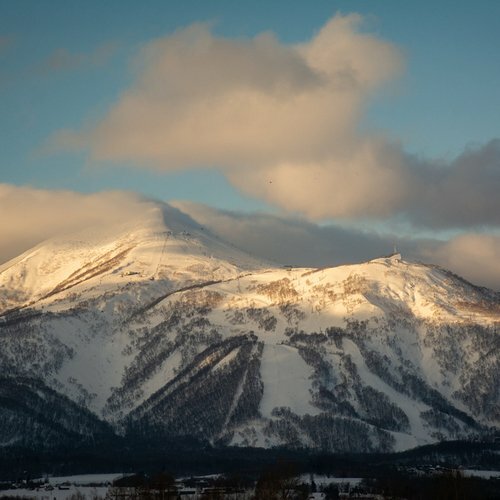 The hotel provides a shuttle bus service to pick up guests from Niseko and Kutchan JR station. Yukoro is a basic but traditional onsen located in the lower Hirafu Village. It has two baths - an indoor one and an outdoor one surrounded by boulders. Shampoo and soap are provided in the shower area, but there is no partition between the two sections. The onsen tends to be very crowded between 6 to 8 pm as many skiers head down there after dinner. We suggest visiting this onsen after 8 pm to avoid the crowds. 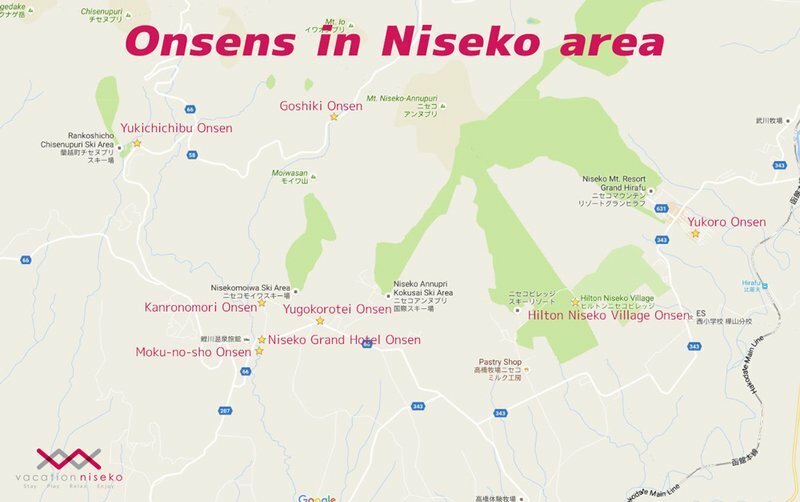 You may refer to the map (click to open the Google map) below for the exact onsens' locations. There are over 15 different onsen scattered across the Niseko region alone. A good way to visit more than one is to get The Yumeguri Onsen Pass!